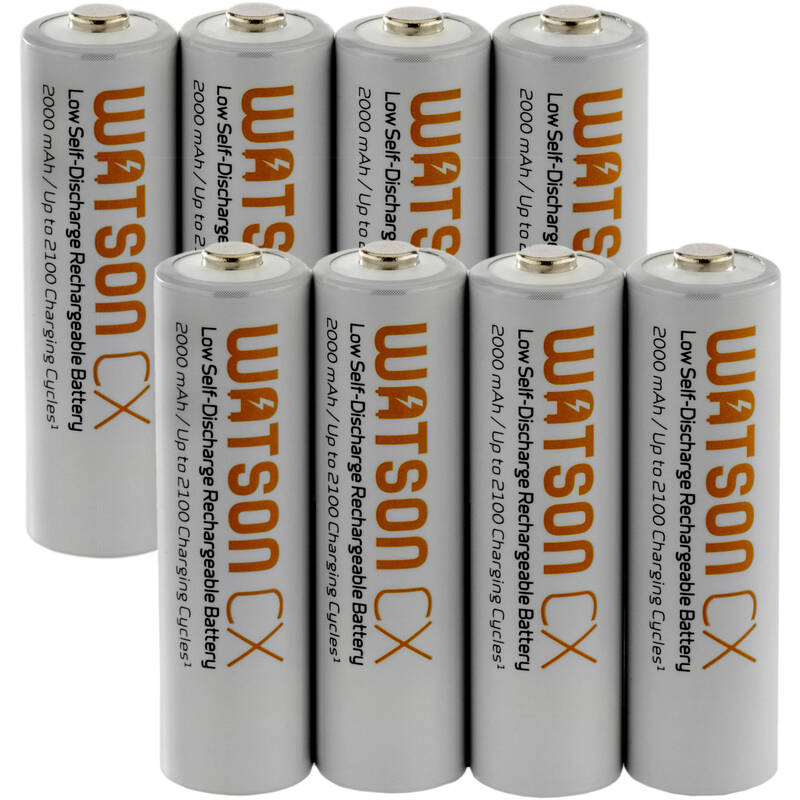 Keep your photo, video, and audio devices running longer with the 8-pack of CX AA Rechargeable NiMH Batteries from Watson. 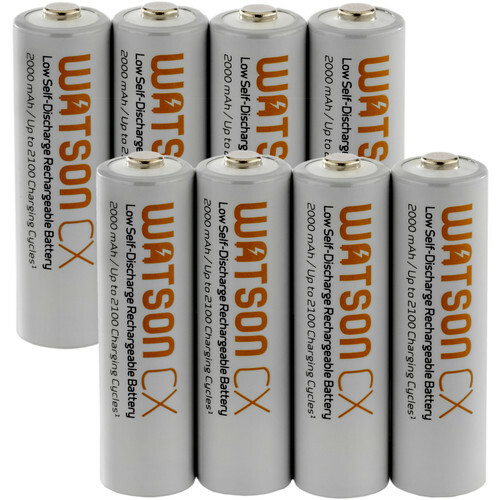 These batteries have a long shelf life due to their low self-discharge, and they can be recharged up to 2100 times to provide you with many years of use. Even after ten years in storage, they retain 70% of their charge, and they come charged and ready to use in temperatures as low as -4° Fahrenheit. Box Dimensions (LxWxH) 7.11 x 3.11 x 0.01"